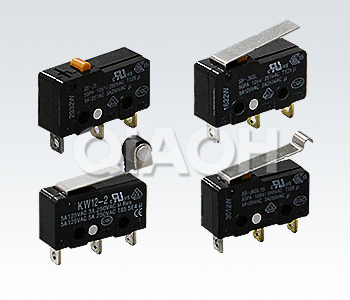 SS-J super small basic switch - SS-J (KW12) miniature micro switch - PRODUCT - Shanghai Qiaoh Industry Co., Ltd.
■using a simple stable segmentation 2 spring. 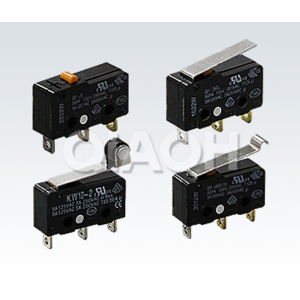 ■can be widely used in household appliances, OA etc..
Action characteristics, model SS-J10SS-J5SS-J5-F, force recovery force, OF **RF, small 3.92N0.78N1.47N0.25N0.49N0.04N, pre travel, over travel, poor response, PT **OT, small MD**0.6mm0.4mm0.12mm0.5mm0.5mm0.1mm0.5mm0.5mm0.1mm action position OP8.4 + 0.5mm. Action characteristic SS-J10GLSS-J5GLSS-J5-F, force recovery force OF **RF is smaller, 0.49N0.06N0.49N0.06N0.16N0.02N travel time response is worse, OT position is smaller, MD**FP1.0mm1.0mm1.2mm0.8mm1.2mm0.8mm13.6mm action position is OP8.8 + 0.8mm. Action characteristic SS-10GL13SS-5GL13SS-5GL13-F, force recovery force OF **RF is smaller, 0.49N0.06N0.49N0.06N0.16N0.02N travel time response is worse, OT position is smaller, MD**FP1.0mm1.0mm1.2mm0.8mm1.2mm0.8mm15.5mm action position is OP10.7 + 0.8mm. Action characteristic SS-10GL2SS-5GL2SS-5GL2-F, force recovery force OF **RF is smaller, 0.49N0.06N0.49N0.06N0.16N0.02N travel time response is worse, OT position is smaller, MD**FP1.0mm1.0mm1.2mm0.8mm1.2mm0.8mm19.3mm action position is OP14.5 + 0.8mm.